According the Cook County Record and other news outlets, plaintiffs in a class action lawsuit filed against the city of Chicago for improper red light camera violations has survived a motion to dismiss by the city. The lawsuit, which alleged that the city failed to send a second notice of violation, as required by its ordinances, to give those receiving the tickets sufficient chance to contest them in court, before the city began assessing additional fees and fines for the unpaid tickets. In other words, the suit states that failing to provide the second notice was a violation of offender’s due process. The plaintiffs in this lawsuit are seeking class action status and this is another step forward in that pursuit. If plaintiffs do reach class action status and are able to prevail at trial, then the city could be facing hundreds of millions of dollars in fees that they must refund to drivers who paid these tickets without receiving the second notice. It’s worth pointing out that weeks after this lawsuit was filed, the city immediately changed its’ procedure when issuing these tickets. They immediately began requiring they issue the second notice to violators. It will be unclear whether this action would be admissible into evidence if the case makes it to trial. Typically, subsequent remedial behavior by a tortfeasor is not admissible into evidence. I have been writing in this blog for years now that red light and speed camera programs should end. Studies have shown that they do not provide a net safety benefit to the city as the number of traffic accidents have not decreased since the implementation of these cameras. I will be following this lawsuit closely in the news in the coming months. 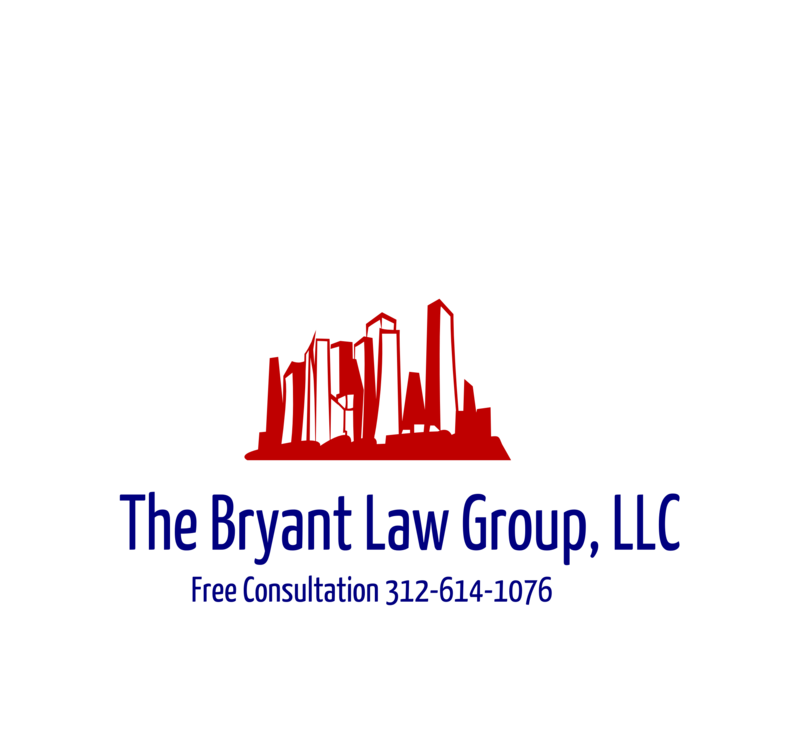 If you or someone you love has been injured in a Chicago car crash or a Chicago truck accident, then call Chicago personal injury lawyer, Aaron J. Bryant, for a free legal consultation at 312-614-1076. The Chicago Sun Times reported this week that two (2) new speeder cameras were installed this month by the Chicago Department of Transportation. The cameras were activated at 3200 S. Archer Avenue and near Keystone Park at 1754 N. Pulaski Road, 4053 W. North Ave. and 4042 W. North Ave. In the school safety zones, from 7 a.m. to 4 p.m. drivers must drive 20 miles per hour when children are present and the posted speed limit when no children are present. From 4 p.m. to 7 p.m., drivers must adhere to the posted speed limit, according to the statement. Those who are caught speeding for the first thirty (30) days will only receive a warning. After this trial period, tickets will be issued for those driving over 10 mph of the posted speed limit. A question that often pops up regarding speeder camera tickets is whether the video evidence can affect a car accident lawsuit. The answer is yes. Often times when a dispute arises as to who caused a car crash, the parties can turn to the video evidence to determine who was at fault. This is especially true when there is a dispute as to who ran a red light. With the advent of red light cameras and other surveillance cameras, attorneys can request the video footage to help determine who was at fault. The same thing can now take place if a traffic accident takes place within the speed camera zone. The attorney can file a freedom of information act (“FOIA”) request to the city of Chicago and determine if a party was speeding and if the speeding was the cause of the car accident. The video evidence could also determine how violent the collision was. I think it is important for personal injury attorneys to take a close look at the crash reports and determine if the accident took place in a speeder zone. If so, then the video footage could impact the validity of a case. The fantastic website, DNA Info Chicago, published an interesting article about the statistics on Chicago’s speed cameras since 2013. First a little background on Chicago’s red light cameras. The ordinance went into effect in 2013 and authorized the city to ticket drivers traveling 6-10 mph over the posted limit with a $35 fine. Violators traveling 11 mph over are fined $100. The speed cameras planted near parks are active when the parks are open, generally from 6 a.m. to 11 p.m. daily and have a 30 mph speed limit. In school zones, the cameras are on from 7 a.m to 7 p.m. Monday through Friday when school is in session. The speed limit differs from 20 to 30 mph, depending on if children are present in the area. The article revealed that of the 146 cameras around the city, only 21 (or 1/8) produced the majority of the $58 million the city has collected in fines since the program began in 2013. The busiest 21 cameras are spread across the city, with 11 on the South Side, seven on the North Side and three on the West Side.The most productive camera can ring up more than $7,000 in fines a day, on average . The busiest cameras tend to be on stretches where drivers feel comfortable letting loose. The top four revenue-producing cameras, for example, are found on long stretches of open road, sometimes near expressways or industrial areas, with little cross traffic. I think this information is very interesting because the city has touted the speed cameras as a public safety ordinance, to help protect children and pedestrians in park and school areas. Yet, according to these statistics, the majority of tickets are issued in wide open thoroughfares with very little congestion. Areas that you would assume would have the most of the cameras would be focused on these dense areas. Yes, we all realize that speeding is a leading cause of car accidents and traffic fatalities. In fact, I posted a quote yesterday from the Illinois State Police that said 40% of all traffic fatalities in Illinois were caused by speeding. But, are these cameras actually effective and preventing speeding in areas that require them the most? This article leads us to answer no. Mayor Emanuel’s Motorcade Caught Running Red Lights, Again. Despite promises from Chicago Mayor Rahm Emanuel that his motorcade would follow local traffic laws, they were caught by multiple cameras running red lights and even driving the wrong way. Back in January, in response to questions about traffic violations, the mayor responded: “”No one is above the law. Obey the law. Period. Full stop,” Emanuel said. Well, according to multiple news outlets, including, ABC 7, NBC Chicago and My Fox Chicago, the mayor’s motorcade was shown by cameras running red lights at Lake Shore Drive and Belmont and at Cicero and Washington. These events took place on March 14, and March 21. The videos, which can be seen on the Chicagoist website, clearly show that the violations were done by individual vehicles, not the case of a secondary vehicle trying to keep up with the first. This was the excuse the mayor gave back in January for previous violations. The mayor’s office has yet to respond to these reports. This is interesting because Mayor Emanuel has stated over and over that red light cameras, speed cameras and pedestrian cross walk stop signs have all been implemented for public safety. These were not implemented for money making purposes, according to the mayor. Then why does the mayor and his staff continued to act as if they are above the law? Why have they not been ticketed and fined for these traffic violations? What if a car crash occurs due to these negligent actions? I’m looking forward to the mayor’s response. If you or someone you know has been involved in a Chicago traffic accident or Chicago truck accident, then call Chicago personal injury lawyer, Aaron Bryant, for a free legal consultation at 312-614-1076. The Chicago Sun Times reported this week that the Active Transportation Alliance is not taking too kindly the recent efforts by aldermen to put an end to red light and speeder cameras. The Active Transportation Alliance is a non-profit organization whose mission is to improve safety and conditions for bicyclists, pedestrians and mass transit users around the city of Chicago. Last week 14 alderman attempted to pass a bill that would eliminate all red light and speeder cameras by 2018. Though the bill failed, the Active Transportation Alliance is not taking any chances. They are pushing a new initiative called “Vision Zero,” which is based on the principles that no loss of life to traffic accidents is acceptable and that red-light cameras that serve as police force “multipliers” are pivotal tools that can prevent crashes. He noted that, in 2012, there were more than 77,000 reported traffic accidents in Chicago, with 145 people killed and nearly 21,000 seriously injured. I get where Mr. Burke is coming from here and I respect the mission and the efforts of the Active Transportation Alliance. But if you look deeply at the statistics of accidents since red light cameras were implemented in Chicago, you will see that there has been no “net” safety gain from these cameras. Yes, t-bone car crashes have decreased some, but rear-end traffic accidents have actually increased in the intersections where these cameras are located. What is the community benefit, other than money for the city, if the the cameras do not make intersections safer. It will be interesting to watch what happens in the coming weeks and months. If Rahm Emanuel wins the election as expected, I do not see him putting an end to traffic cameras. He has steadfastly supported them since day one. If you or someone you love has been seriously injured in a Chicago car accident or Chicago truck accident, then call Chicago personal injury attorney, Aaron Bryant, for a free legal consultation at 312-614-1076. I think we all agree with what the Sun-Times staff has pontificated. If red light cameras and speeder cameras save lives, then they should remain intact. If not, then they should be removed. The problem with the editorial and with the red light cameras is that they do not actually make our streets safer for both drivers and pedestrians. The Chicago Tribune study that I have discussed over and over concluded there is a zero net impact on the red light cameras. T-bone car crashes are down but rear-end traffic accidents actually increased 22% since the cameras have been installed. If we believe the study to be true, then red light cameras should be removed. They are not preventing auto accidents overall and are not making our intersections safer. On the other hand, speeder cameras are still fairly new. Mayor Emanuel installed them within the last two years and I have to see any data or studies as to their net effect on public safety. On their face, speeder cameras make sense. Why shouldn’t the city do what they can to prevent speeders from barreling through school zone and city park areas? But if there is no overall decrease in car accidents and pedestrian accidents, then I believe it should be questioned whether the speeder cameras should remain. The reason I’m posting this and why I find it so amusing is that Emanuel has repeatedly stated that red light cameras are here to protect drivers and pedestrians. Yet, he seems ok with letting his driver knowingly and purposely ignore red lights. Luckily know auto accidents have resulted from any of this red light violations. Mayoral candidate and current Alderman, Bob Fioretti, has stated that he is going to submit legislation in April that would ban red light cameras. I wonder what Mayor Emanuel’s response will be at that time. If you someone you love has been injured in a Chicago car accident or Chicago truck accident, then call Chicago personal injury lawyer, Aaron Bryant, for a free legal consultation at 312-614-1076. The Chicago Tribune commissioned an independent study with Texas A&M University professors to determine whether Chicago’s red light cameras actually make busy intersections safer for drivers. The study, which confirms earlier studies by Texas A&M, concluded that the cameras make very little overall difference regarding traffic accidents. The study, which accounted for declining traffic accident rates in recent years as well as other confounding factors, found cameras reduced right-angle crashes (t-bone accidents) that caused injuries by just 15 percent. At the same time, the study calculated a corresponding 22 percent increase in rear-end crashes that caused injuries, illustrating a trade-off between the cameras’ costs and benefits. So there is the million dollar question. If there is no safety benefit, and merely an economic one, should the city continue with its’ red light camera program? Mayoral candidate, Alderman Bob Fioretti, stated last month that he would do away with the program and plans on submitting an ordinance in April. What will Mayor Emanuel do? He has yet to respond. If you or someone you love has been injured in a Chicago car accident or Chicago truck accident, then call Chicago personal injury lawyer, Aaron Bryant, for a free legal consultation at 312-588-3384. I’m not sure how I missed this last week, but Chicago Alderman and 2015 mayoral candidate, Bob Fioretti, has called for the end of red light cameras in the city. According to the great website, dnainfo.com, Fioretti said at a news conference at City Hall in December that he would submit local ordinance that would put an end to red light cameras. “The majority of red-light cameras do little to create safety,” Fioretti said, citing a Texas A&M study showed they might help reduce so-called T-bone crashes of cars crossing in the intersection, only to increase rear-end, same-direction collisions involving cars either speeding up or slowing down at a yellow light. He also said they were riddled with corruption and cited how the city ended its relationship with the original camera firm, Redflex, in a case that found city and company officials charged with federal crimes, with one already having pled guilty. “The entire program is fraught with failed oversight, corruption and unfair enforcement,” Fioretti added. According to this article Chicago has the largest traffic camera program in the country with 350 red-light cameras and 130 speed cameras. This is quite a development as I have written on this blog over and over again that red light cameras do not make our intersections safer. In fact, as Alderman Fioretti pointed out, some studies have claimed that they make intersections more dangerous because drivers are timid and often stop short when they should drive through. I have not decided who I am going to vote for next month but this is an issue I will definitely keep in mind before going to polls. If you or someone you love has been seriously injured in a Chicago car crash or Chicago truck accident, then call Chicago personal injury attorney, Aaron Bryant, for a free legal consultation at 312-614-1076.